What are the benefits of being MWBE certified? How can you take advantage of being certified under any of these programs? The MWBE (Minority and Women-Owned Business Enterprises) has been established, and many large construction companies are setting huge goals in terms of the amount of MWBE firms that they need to hire. First, let's make sure we all understand what MWBE really is and what benefits MWBE certified firms are entitled to. MWBE stands for Minority and Woman Business Enterprise and is related to for-profit organizations located in the United States or one of its territories. MWBE organizations are controlled by minorities or woman whose participation and/or ownership is at a minimum 51 percent, and when dealing with public-owned organizations, the minority stakeholders must control at least 51 percent of the stocks. Minority groups Minority group members are United States citizens who are Black, Asian, Native Americans and/or Hispanics. It is important to note that also the organization is controlled and managed by one or more minority individuals that take care of management, policies, major decisions, and daily business operations. MWBE certified organizations will certainly have added benefits and value because of their certification. Companies who are certified under the WBE or MBE receive purchasing opportunities from larger companies as they enter into contract negotiations with the government and other entities that require certain participation from MWBE businesses. Recently, many private companies are being more aggressive in meeting their goals in respect to MWBE's participation. Access to bid opportunities listed by the certifying authority. In the same way, your company will be listed as MWBE receiving additional bid participation. Hiring opportunities by larger construction companies that are asked to meet certain criteria mandated by law. Loan opportunities that will secure your funding or provide with initial funds to set up your business and get your organization some starting resources. Access to conferences, training sessions and matchmaking meetings that companies use to sell their products to larger corporations. Sometimes, governmental organizations will create these events so they can match buyers and sellers while providing additional networking opportunities. Training and education services are offered only to MWBE organizations, enhancing the value of your business and getting your team more prepared in certain development areas. 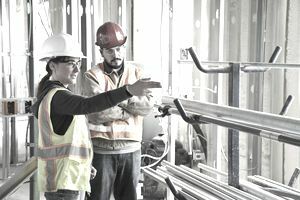 Certified construction companies obtain credibility and good standing certification knowing that your company has the legal, economic and procedural framework required under this certification. The chance of being of being hired increases as the company knows your paperwork is up to date. There some items that you need to pay attention to maintain or renew your certification. Since the company needs to be MWBE certified every year, you must pay attention to the number of employees, profit, revenue as these factors can affect the certification process. One big important item is that companies will need to be certified under different programs, state or local agencies. There is no such thing as a universal certification, as many government agencies run their own program and your company needs to be in compliance with their program to obtain bid or contract opportunities. Some construction companies believe that being certified, allows them to receive instantaneous opportunities, and that is not true. You need to do some legwork and promote your business if you want to get hired, so take advantage of networking opportunities to advertise or sell your product or services. The annual renewal process is somewhat less strict, but certain documents will still be required. The organization needs to be located in the US or territories. The organization needs to be owned at least 51 percent the minority group or individual. The NMSDC’s program classifies a minority group member as an individual who is at least 25 percent Asian, Black, Hispanic or Native American. In the case of a publicly-owned business at least 51 percent of the stock is controlled by one or more minority group members. Daily management and operations must be performed and managed by the minority ownership member(s). DBE's (Disadvantage Business Enterprises) or SBD (Small Disadvantage Business) are other types of certifications mostly related to the federal government and in the case of DBEs, are specific to US DOT. The requirements for both of these are related to having an individual with at least 515 of the minimum control of the organization and be in control of management and operations. The business must be owned by a disadvantaged individual as described under the 49 CFR parts 23 and 26. The 8(a) certification is a completely different application that cannot be compared to any of these certifications explained in this article. This certification requires you to be mentored and trained by a larger company, and the requirements and certification process is not similar to the ones previously described.